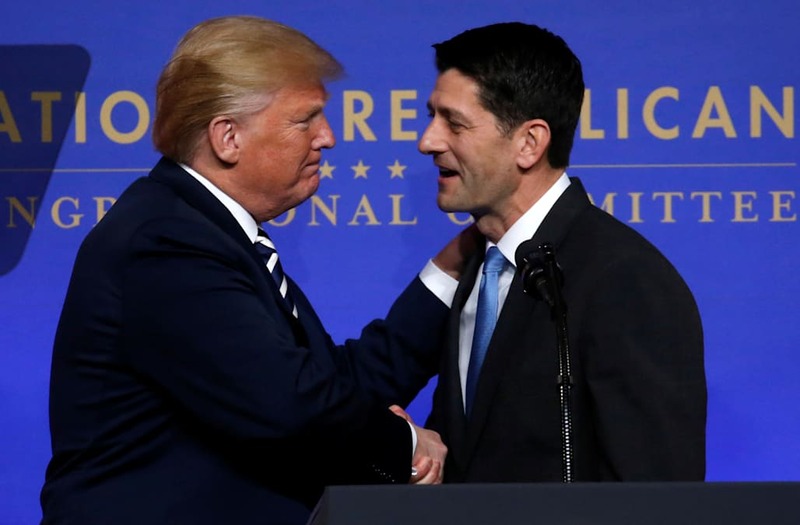 House Speaker Paul Ryan offered intimate details about his complicated relationship with President Donald Trump in an extensive interview with The New York Times. He said the president used to refer to him as "Boy Scout." Ryan used to think this was a compliment, but now realizes it was likely meant to be insulting. Ryan in April announced he would not seek reelection, and he leaves Congress amid a chaotic and often divisive period for the GOP. House Speaker Paul Ryan offered intimate details about his complicated relationship with President Donald Trump in an extensive interview with The New York Times published Tuesday, including that the president used to refer to him as "Boy Scout." Ryan used to think of the nickname as a compliment, but he said he now realizes it was likely meant to be insulting. "I thought it was a compliment," Ryan told the Times' Mark Leibovich. But he said that after the Republican-controlled Congress passed some legislation early into Trump's tenure, the president told him he would stop using the nickname. "So I guess he meant it as an insult all along," Ryan said. "I didn’t realize." Ryan also conceded that Trump's trouncing of his Republican opponents during the 2016 presidential election and ultimate victory over former Secretary of State Hillary Clinton caught him by surprise. "It was shocking to me," Ryan said. "I didn’t see it coming. It threw me off." Ryan in April announced he would not seek reelection. He prepares to leave Congress amid a chaotic and often divisive period for the GOP. Attempting to be a bridge between his fellow Republicans and Trump has taken its toll on the speaker. At one point in the interview, for instance, Ryan asked, "What did he do now?" in reference to Trump's latest tweets.